Football players suffering from the effects of concussions could one day benefit from new treatment methods developed thanks in part to mice. Washington University in St. Louis has received a grant of about $91,000 from NFL charities, the charitable foundation of National Football League Owners, toward studying brain injuries from multiple concussions. 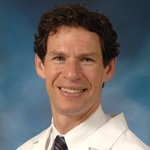 David Brody, MD, PhD is associate professor of neurology. He has worked clinically with retired NFL players since 2010 and says in that time he has learned that a better method is needed for assessing what happens after a concussion. The work will involve giving mice concussions to see how well magnetic resonance imaging (MRI) can measure damage in the brain’s white matter after repeated incidents. Brody says the mice provide good models of concussions as they occur in people. Brody has also studied what has happened to U.S. military personnel that have suffered blast-related brain injuries in Iraq and Afghanistan. He says those concussions have substantial differences from those suffered by players of football and other sports. Results now could lead to more work later. Brody hopes after the first year of the two-year project, if the imaging is working well in mice, planning might begin for studies on people such as current or former athletes. Scans could be done on people now, but he says the results wouldn’t be understood. As for the use of the mice, Brody notes it uses a method approved by animal studies committees that is considered ethical because the mice are under anesthesia and feel no pain.